From the Serein 16 collection, this Michele watch is a fantastic accessory. The stainless steel base frames a gorgeous Mother-of-Pearl dial with black Roman numerals, a date indicator window, and a ring of striking white diamonds. 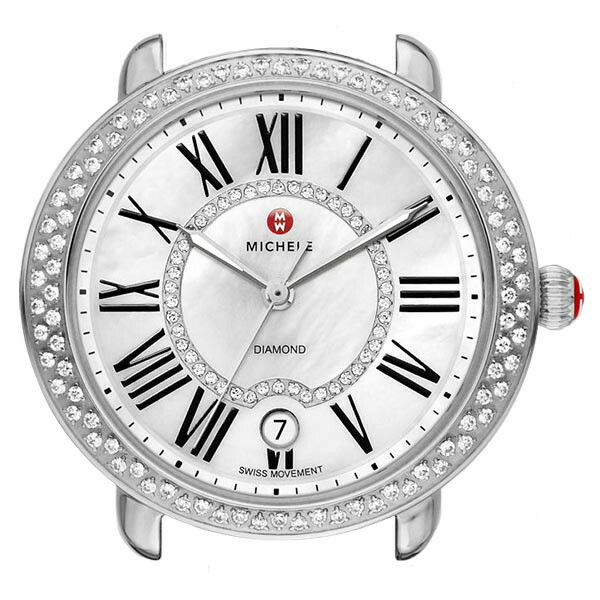 More diamonds decorate the stainless steel bezel giving this Michele timepiece an elevated look. The Swiss quartz movement is protected by a sapphire crystal, and it's also water resistant to 50 meters. You can design the look of your timepiece with 16mm interchangeable watch straps. 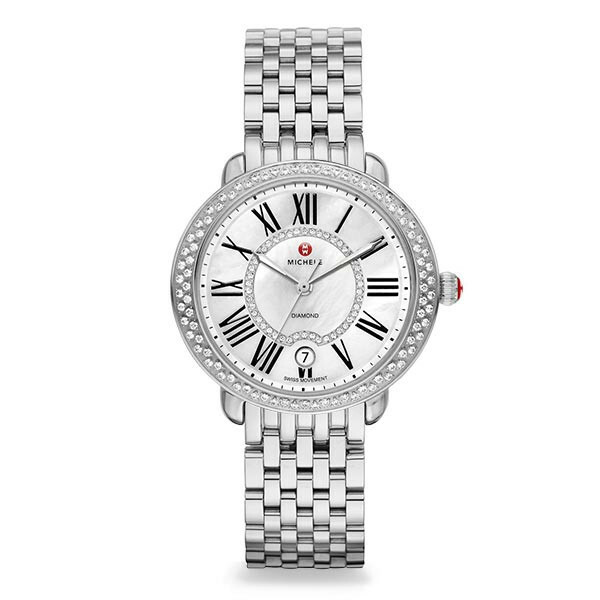 Let this Michele watch compliment your style. Michele watch straps are sold separately, and JR Dunn has a 10-day satisfaction guarantee for all Michele watch products.